Rowling says she plans to write more and start a new phase in her writing career, but she doesn’t feel the need to top the phenomenon that was Harry Potter. The most random revelation in the interview was that Michael Jackson wanted to make a Harry Potter musical, but Rowling said no. Ha! I think that’s hilarious. 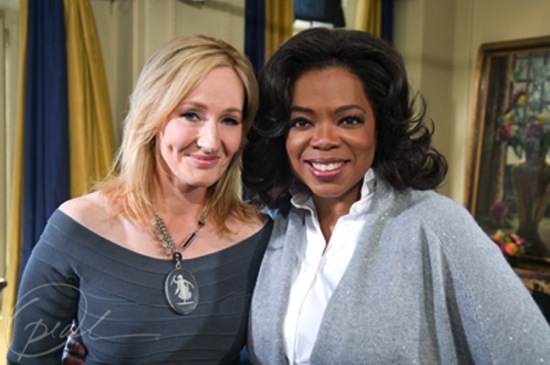 So did you watch Oprah’s interview with JK Rowling? I thought it was fascinating and that Rowling revealed a lot of personal details. What did you think was the most interesting part of the interview? P.S. If you missed it, check out the coverage on Oprah’s website.